​​Successfully serving your Real Estate needs since 1990. Looking to buy or sell your home? You've come to the right place! Working in Your Best Interest is Always First Priority. I provide years of experience and tremendous knowledge​ about our local market that will benefit you and bring the best deal to your doorstep! Guiding you through the transaction comfortably is my specialty - no drama. I love working with people and families of all kinds! ​I am understated and easy going, with mottos like "you catch more flies with honey than vinegar." I work doggedly in your best interest & have the references to prove it. Lets get you moved! 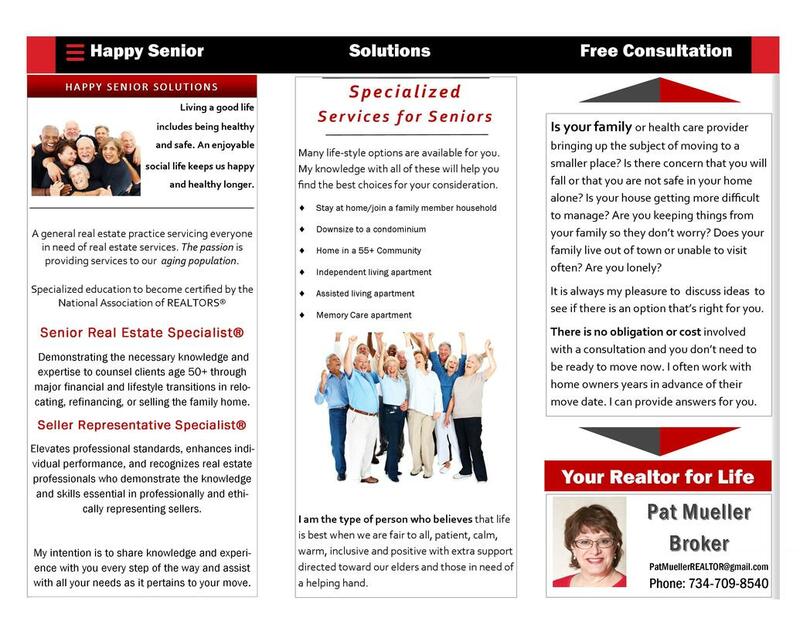 It is my pleasure to assist you & your family. I'm always on your side, contact me anytime! Anything Residential is My Specialty including Senior or Elderly Moves! Selling a big beautiful home in the Hills, a starter home in the Woods, or anything in between, I work with clients who are looking to buy or sell all types of residential property; everyone gets the same dedicated service. I can help you buy or sell a home almost anywhere in Southeast Michigan! Concentrating on Washtenaw County, Livingston County, Western Wayne County, Northern Monroe County, Lenawee County, and Eastern Jackson County; I have vast experience serving clients across many different types of homes and in all kinds of locales! A lot of my clients are settling into the greater Ann Arbor area with a new job at the University of Michigan, or one of our area's other booming industries; there are urban, rural, and suburban options for you! Local areas with good housing options include: Ann Arbor, Ypsilanti, Ypsilanti Township, Saline, York Township, Chelsea, Manchester, Dexter, Whitmore Lake, Hamburg, Pinckney, Brighton, Green Oak Township, Plymouth, Canton, Westland, and more! I can help you find the right home in the right town and neighborhood that suits your needs, and your budget! I am always on call and love to be helpful. The difference between me and the giant corporations will convince you that big is not better! See why! Those who came before us allow us to stand on their shoulders to bring our lives to a positive place. I love working with elders and offer respect and all the help that I can. Specialized services include guiding them through the downsizing issues, working with families, and finding special places for special belongings, and transitioning to independent or assisted living. It's hard to leave things behind, so we talk about all the issues! Families sometimes need a "go between" to help soften the move. Caring for ourselves at older ages and our aging family members is important, but can be difficult! Let my experience help you find a good fit for your family.